Some days I adore my apex locator, and some days I want to throw it right out the window. I’m pretty sure it lies to me sometimes! I know I’m not alone. Who else has a love-hate relationship with their apex locator? At first, I thought, Maybe it’s not the best apex locator on the market. I eventually ended up buying every single model available. NO KIDDING. I have the traditional Root ZX, the Root ZX2, the PAL by Brasseler, and the Promark by Dentsply. You name it, I bought it! Now I can honestly say that they all work the same way, and they all have identical drawbacks. It wasn’t a problem with the apex locators, it was user error, so learn from my mistakes! 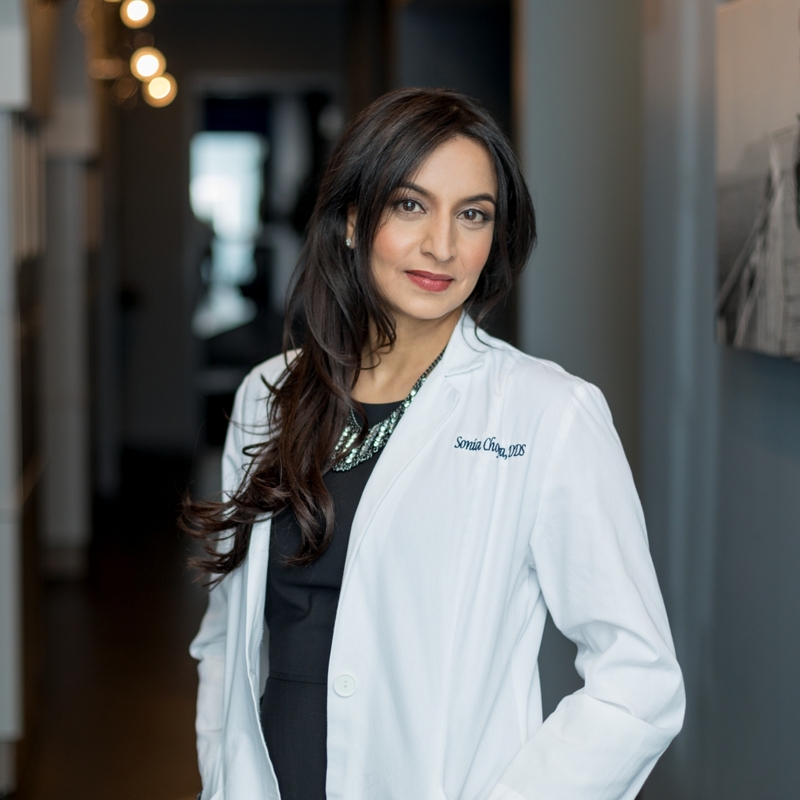 That’s why I’ve created these seven tips that will help you troubleshoot your apex locator — so you can provide root canals that last for a lifetime. Tip #1: Make sure your canals are dry. A dry canal will give you a more accurate reading, plus your machine won’t be chirping at you the whole time. Take some paper points and dry it thoroughly. Make sure your canal is free of sodium hypochlorite, EDTA (this is the biggest offender), or even pus, and make another attempt to obtain your working length. Tip #2: Make sure you are using the largest file possible. I usually use my 10 file to get my initial working length, but if the canal is too big, this file will give me an inaccurate reading. Again, the readings on my machine will bounce all over the place, but if I increase my file size to a 15 or even a 20, I will get a steady reading that gives me the accurate measurement that I need. On the flip side, if you are short of your working length, then decrease your file size to get to the right length. Tip #3: Pull your file away from metal fillings or crowns before taking your reading. When your apex locator is in use, make sure your file is away from the sides of the tooth, any metal fillings or crowns. Again, if your apex locator is chirping at you, something’s up! It could be that your file is in contact with metal while you are using it. Tip #4: Just take a radiograph. Sometimes, I just turn the damn thing off and go old school. I place my file and take a working length film. The radiograph will tell you about the tooth anatomy. If you’re a dentist who is just starting to dive into doing your own root canals, I suggest using both the apex locator and taking a radiograph, anyway! Taking a working length radiograph with a file in each canal is really helpful in understanding your anatomy. You will know when your canals join and when they are separate. Why is this important? Well, you don’t want to instrument with your rotary file past the point of juncture on your joining canal. That’s a very common area for a file to separate. So play it safe and take smart measurements. One canal should be instrumented all the way to working length, and the other joining canal should be instrumented to the level where the two canals join. Tip #5: Charge it up! Make sure your apex locator has a decent charge, or it may not be accurate. I have to swap out the batteries in mine from time to time, so I invested in some rechargeable batteries and always have some charging just in case my batteries die spontaneously. Tip #6: Use your apex locator throughout your procedure. As we instrument our canals, we remove interferences. This could affect your working length. I’ve experienced length shrinking up a bit as I work, and sometimes I lose patency because debris has blocked me out. I like to use my apex locator throughout my procedure to make sure things haven’t changed as I go. These are the wise words of a teacher of mine. He would prance around our clinic and say, “You gotta get to zero zero. That’s it! It’s that simple!” There was no question about it. Well, what does that mean? It took me so long in my residency to figure it out, but now I recognize how right he was. These are words I live by now. Every apex locator has a different way of notifying you of when you hit this sweet spot. This should always be your end game. If you don’t nail it, the chances of your root canal failing and your patient having issues later on goes way up! Remember, in the endo world, a millimeter is a mile, so don’t dare cut any corners. Understand what your apex locator is saying to you. Zero-Zero (0.0) confirms that you are patent in your canal, that you have the true length of that canal, and now you can clean and shape properly. Make sure that you are getting your initial reading by taking your file a little long to read the PDL, then back up your file short of working length, then re-advance it to your zero zero. This will “calibrate” your apex locator and will give you a more accurate reading. I am a firm believer in patency, and your apex locator is your tool to help you achieve that patency. An outcome study1 found that, in any tooth with apical periodontitis, if you are short by one millimeter, that this reduces your success rate by 14%. That is huge! So don’t be lazy, and get to 0.0 — and if it means that you need to bring the patient back because you ran out of time, or that you need to refer them to your specialist to finish it up, then so be it! So if your apex locator truly is on the fritz, you can figure out how to troubleshoot and what to do. At the end of the day, understanding your 0.0 of your particular apex locator will have such an impact on the success of your cases… just wait and see. Endodontic infection: some biologic and treatment factors associated with outcome: Chugal NM, Clive JM, Spångberg LSW. Oral Sug Oral Med Oral Pathol Oral Radiol Endod. 2003 Jul;96(1):81-90. PubMed PMID: 12847449. Great article. I’m using mine incorrectly. I have to figure out my zero zero, don’t know if I do or not!! Thanks dr. Chopra. Your tips are highly valuable but the very first tip was quite different from other experts who always advocate of using apex locater in wet canals. Thank you! You can try both the dry and wet canals, and check them with radiographs to see which one works better for you. Great article! Kudos on how thorough you have gone into detail on the subject! I read the morita apex locator and it warning against the use of rechargeable batteries, so is it ok to use rechargeable?? Hey Tania, thanks for your comment!! The batteries typically last a really long time in the J Morita unit, so you may be ok. I would go with the manufacturer’s recommendations. I don’t use that apex locator really, but I haven’t had any issues using rechargeable batteries on my other units. Qif one of the walls of tooth is missing,does it affect the apexlocator reading? Hi! Thank you for your post. No, missing walls should have no impact, unless it effects your isolation. But, you can always build up that wall or seal it off with something like Opaldam to keep any moisture out. Hope this helps. Hey there!! I use the 0.0 as my working length and what I instrument to. Once I started doing that, I have had less failures and people with persistent percussion pain after treatment. Very informative tip’s …. Thank you so much..
Mam I put my working length 0.5mm short of the apex wt I think is that working length varies as we complete the bmp. If I put wl at zero zero then there might be chances of over instrumention. Give me ur advice tnxs. Good apical control is important, but so is the proper working length. 0.0 is where I have started to clean to and I have seen a decrease in my own failures. Hope this helps. Maam I have just started my practice n I love doing endo n I find ur tips and blogs very useful .How much time does it take for access cavity n to explore canal coz I take 45 mins n I think it’s too much hectic for the patient. Please can u guide . Accessing is very important, so take your time. It can take me long in some cases too. I promise that things will get better in time. Mam as you recommended to use apex locators throughout the procedure of BMP, i had a query here,because once I get the working length i start using NaOCl so if I want to recheck my working length won’t my apex locator give a wrong reading or do I need to dry my canal every single time I’m checking my working length. Pls guide me on this. Thank you. Sometimes my apex locator works when it is wet. These are just guidelines if your apex locator starts to act up on you. So, you will need to take the time to get to know your particular apex locator so you can know when to make adjustments when necessary. If it chirps, then dry it and try again. If it still chirps, turn it off and take a radiograph. Root zx recommends use when canal is wet. Definitely your advice can be tried. Hope I can reduce errors. Try both ways and see what happens!! Good luck!! I have only used the apex locators that you see in the picture. I would suggest asking the representative that sold you the unit to get complete clarification. But, my assumption is that 0.0 is the where you need to go on all units. Good luck!! Great advice!!! I always feel like I hate doing root canals. .. as you probably know from my referrals. I love reading your blog! Your blog always teaches me something new! Thanks Rebekkah!! I am glad that you like what you are reading and it makes me so happy that they teach you something every week. We are always happy to take your referrals. See you soon. Hey really liked ur post just the way u said someday I feel to throw away my apex locator😌just had some issues so I googled it got some awesome tips… Keep posting..
I’m so thrilled to have stumbled on this post – your explanations are very easy to understand. I am a dental student and in all honesty, endo is not my favourite subject nor my strong suit at present. However I am determined to overcome this and your blog will be an invaluable study resource for me going forward. Thank you for producing this content and making endo a less daunting subject! Wow Sara – I’m so glad you found my blog. You are totally who I’m writing for! Hello doctor , I love your work , thank you for inspiring . I have almost become a fan girl of yours 🙂 got a question ,is propex pixi apex locator by dentsply good ? And thank you for reading! 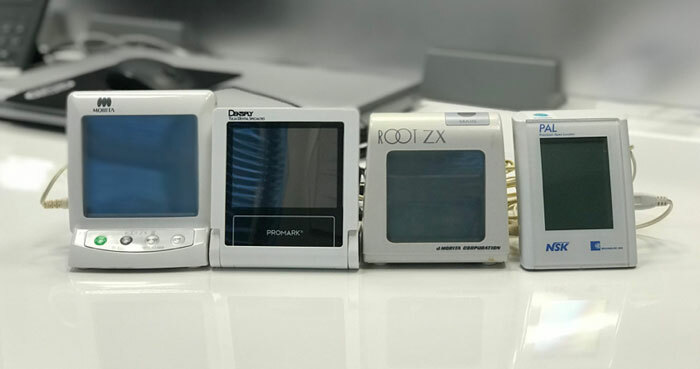 The 4 apex locators I’ve shown here are the ones that I love and I use them all equally, but I’m not exactly sure of the manufacturers. So I do recommend them!